Every April since 2006, the city government in Istanbul has planted three million tulips in Istanbul's parks, avenues, traffic roundabouts and...really anywhere there is open ground. The result is a glorious spring flower festival with brilliant splashes of color everywhere you look. 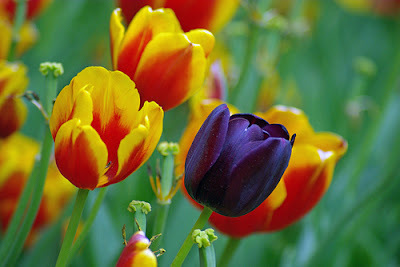 The tulips begin to bloom around the end of March or beginning of April, depending on the weather. They bloom for several weeks and may delight the eye and the spirit for nearly a month. April may not be as rain-free as May or June, but it usually has moderate temperatures, moderate crowds, and somewhat lower prices than later in the spring and summer. 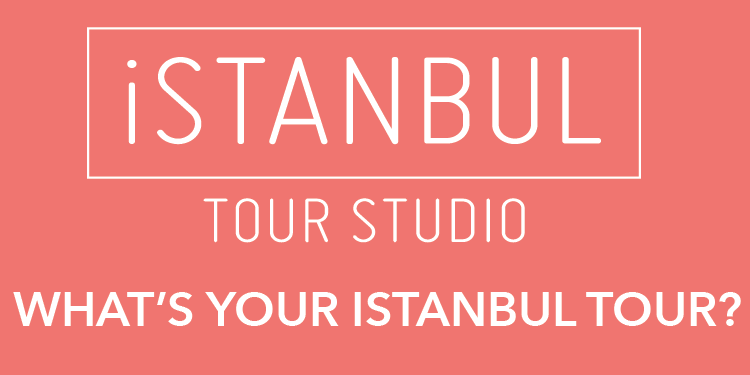 In short, it's a great time to visit Istanbul! 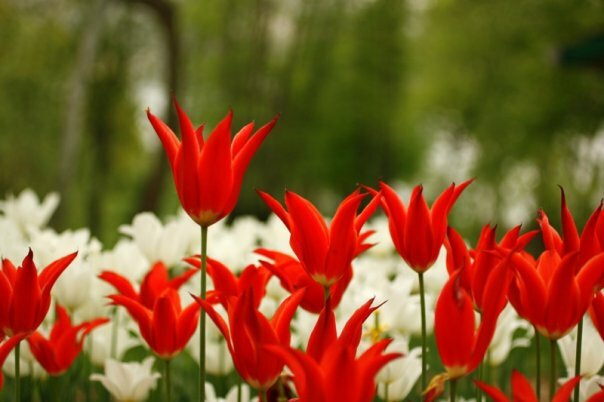 The tulip is one of Istanbul's traditional symbols. Brought to the city from Iran centuries ago, it was favored and cultivated here until tulip-love became a mania. In the so-called Tulip Period of Ottoman history, a rare tulip variety could be sold for a breathtaking sum. 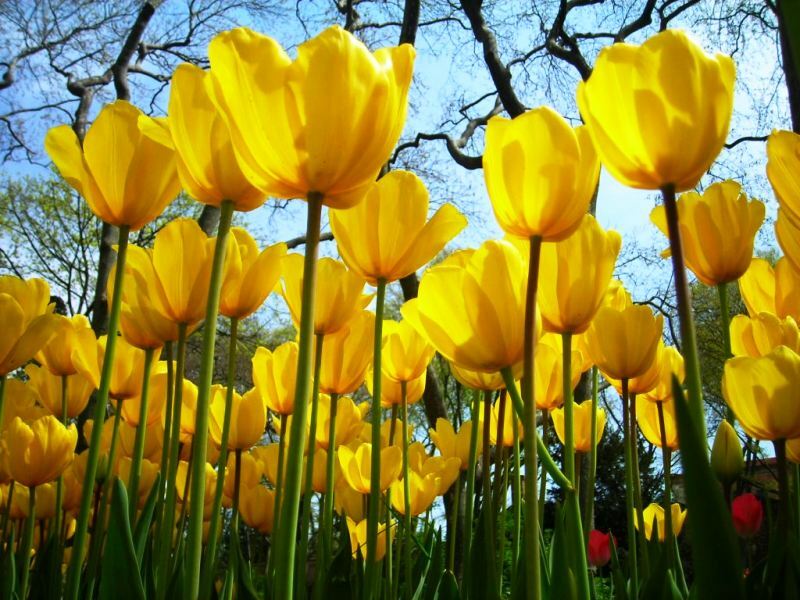 Tulips made their way from Istanbul to Europe—specifically Holland—where a similar tulip mania soon consumed the imaginations—and bank accounts—of Dutch tulip-lovers. 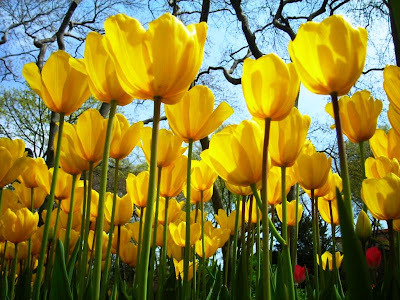 Come to Istanbul in April and enjoy the Tulip Festival, not to mention the thousand other things that make this city, for me, the most fascinating on earth.